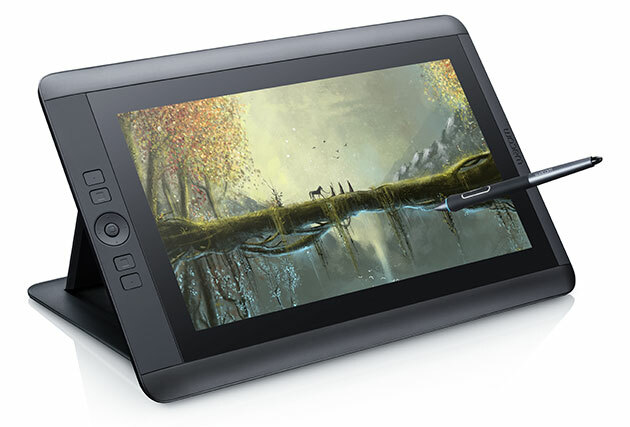 Wacom has announced a new version of its smallest Cintiq pen tablet, the 13HD, named the 13HD Touch. It adds multitouch support to match its larger Cintiq siblings. The Cintiq 13HD Touch is almost identical to the previous version, but adds finger touch capabilities to the screen, which continues to work with the included 2,048-level pressure sensitive, tilt-recognition pen. With multitouch integration you can use familiar gestures for zooming and also mix pen and finger strokes together. 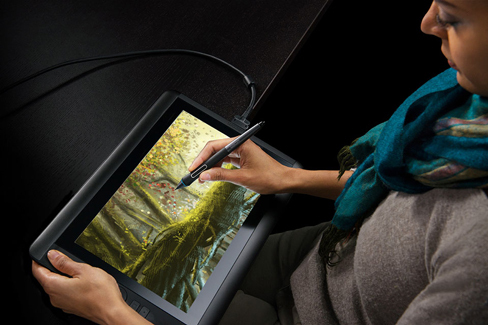 Wacom envisions that artists may zoom with one hand and retouch with the other, for a natural interactive design experience. The tablet is also compatible with Adobe Photoshop’s new touch features. The tablet retains its original dimensions and a resolution of 1920 x 1080 pixels. And, like the previous version, the Cintiq 13HD Touch features a full HD, widescreen display with 16.7 million colors, LED backlight and a 178-degree viewing angle. The included adjustable, detachable stand lets you position the tablet at four different angles: flat, 22, 35 and 50 degrees, suitable for either desk or lap use. The Cintiq is the most professional of Wacom’s wide slate of pen tablets and works with Mac or Windows. The new 13HD Touch ships this month at a date to be announced. It costs $999.95, the same as the original 13HD. The non-touch version will be retained in the lineup for a lower price, $799.95.